Just before Christmas I received a very personalized Christmas gift from Greetz.nl which included one of my own Christmas cards that I had made for their collection of cards for Holland. It was a very pleasant surprise, because it was the first time dat Greetz.nl was selling my Christmas cards as part of their selection of cards in 2018. They also decided to feature my cards as party of a new section in their web-shop called 'strong cards for the holiday season. Because December is also a month to remember people that have past away that year. 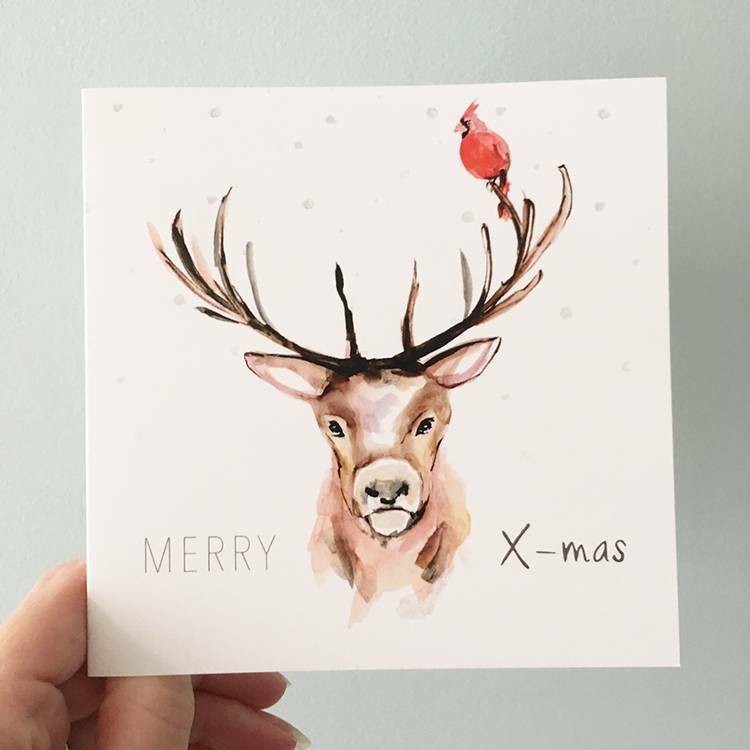 This year my bestselling card was my Christmas card with a reindeer on it. This card is still for sale here at a reduced price.